Sorry, Charlie, but you should leave the color commentary to Rick Monday. Oh yeah, and the Dodgers are still eight games under .500 with nearly a third of the season gone. We’ve got Clayton Kershaw on the mound today, but I don’t want to jinx it like I did the last time he pitched. I thought we had a chance, but then he gave up three runs in the second inning. Nobody’s perfect! 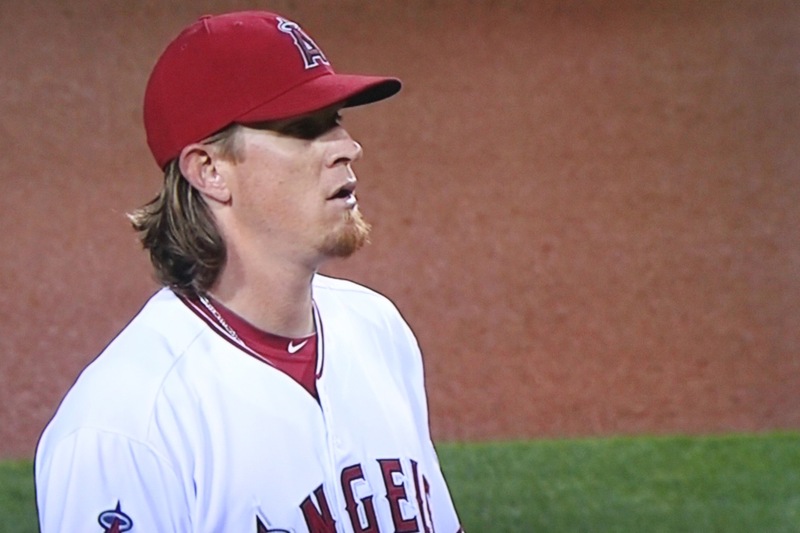 Angels pitcher Jered Weaver retired the first 12 batters he faced. Jered Weaver is a tough pitcher. I’m glad I jinxed his perfect game real good though there in the fifth inning. Vin Scully was dancing around it, but I just yelled it out to Steve: “Hey honey, come watch, Weaver is throwing a perfect game.” And BAM! a double by Andre Ethier, who comes around to score on a single by Skip Shumaker. Unfortunately, even with the bases loaded later in the inning, we couldn’t score another run until the ninth, but by then it was too late. The Haloes were ahead 4-1, and after home runs by Adrian Gonzalez and Andy Van Slyke, the Dodgers fell a run short of tying the game. 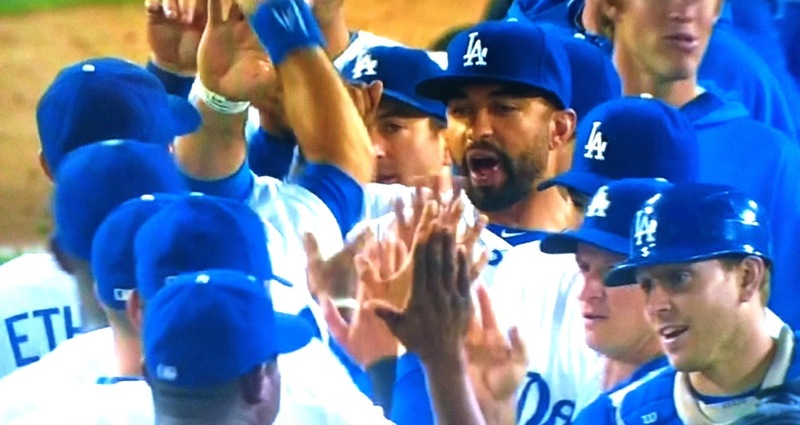 Oh yeah, and Matt Kemp came out of the game with an injured hamstring. Last year, we rallied after that happened. Maybe this year, we’ll do the same. High-fives all around after the second win over the “L.A.” Angels in two nights. Fan favorite Luis Cruz broke out of his slump with a two-run homer. So I’m at a Pasadena speakeasy, playing bar trivia, eating chicken taquitos and watching the second game of the Freeway Series, when WHAM, BAM, ALA KAZAAM! 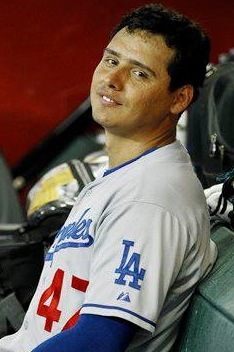 what should happen but Luis Cruz hits his first home run of the season with Juan Uribe on board. The Dodgers take a 2-0 lead over the pretenders from Anaheim, who came into the series so sure they would trounce us as they have in the past. HA! It wasn’t until after our trivia team, Pauly’s Robot From Rocky IV, was well on its way to a victory of its own that I noticed Hyun-Jin Ryu pitching into the ninth inning. He smoked those Haloes, allowing only two hits in his first complete game. Wow! Maybe all that “turning a corner” talk was right. I won’t go betting on it, yet, but I’ll keep my fingers crossed.